Senator Bernie Sanders. (Bloomberg photo by David Paul Morris). The Senate bill would require large employers such as Amazon and Walmart to pay the government for food stamps, public housing and other federal assistance received by their workers. 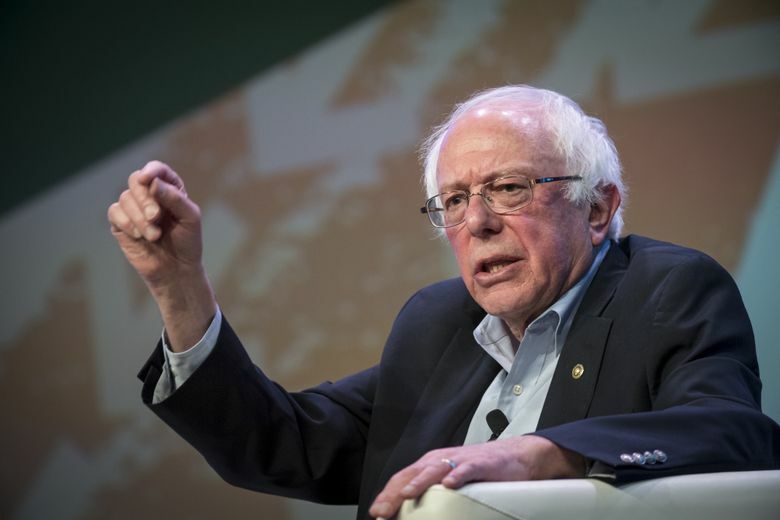 Sen. Bernie Sanders, I-Vt., on Wednesday introduced a Senate bill – the “Stop BEZOS Act” – that would require large employers such as Amazon.com and Walmart to pay the government for food stamps, public housing, Medicaid and other federal assistance received by their workers. The bill’s name is a dig at Amazon chief executive Jeff Bezos and stands for “Stop Bad Employers by Zeroing Out Subsidies Act.” It would establish a 100 percent tax on government benefits received by workers at companies with at least 500 employees, the former presidential candidate said on Wednesday. The value of Amazon’s stock has more than doubled in the past year, causing Bezos’s net worth to skyrocket 69 percent to $168 billion, according to the Bloomberg Billionaires Index. The median Amazon worker, meanwhile, was paid $28,446 last year, according to company filings. The bill follows similar legislation introduced in Congress last summer by Rep. Ro Khanna, D-Calif. The Corporate Responsibility and Taxpayer Protection Act currently has nine co-sponsors, including Democratic Reps. Barbara Lee of California, Jamie Raskin of Maryland and Eleanor Holmes Norton of the District of Columbia. But some economists said they worried such measures may backfire by creating incentives for companies to avoid hiring workers who may be likely to collect federal benefits. Sanders said his office had heard from “many hundreds” of current and former Amazon workers who have had to rely on the Supplemental Nutrition Assistance Program, Medicaid and other government programs to cover their families’ basic needs. There is no official measure of a “living wage,” but the federal poverty level for a family of four is $24,600. Amazon, which has more than 575,000 workers, is the country’s second-largest private employer, behind Walmart. The company said in a statement that it has created 130,000 jobs in the past year.